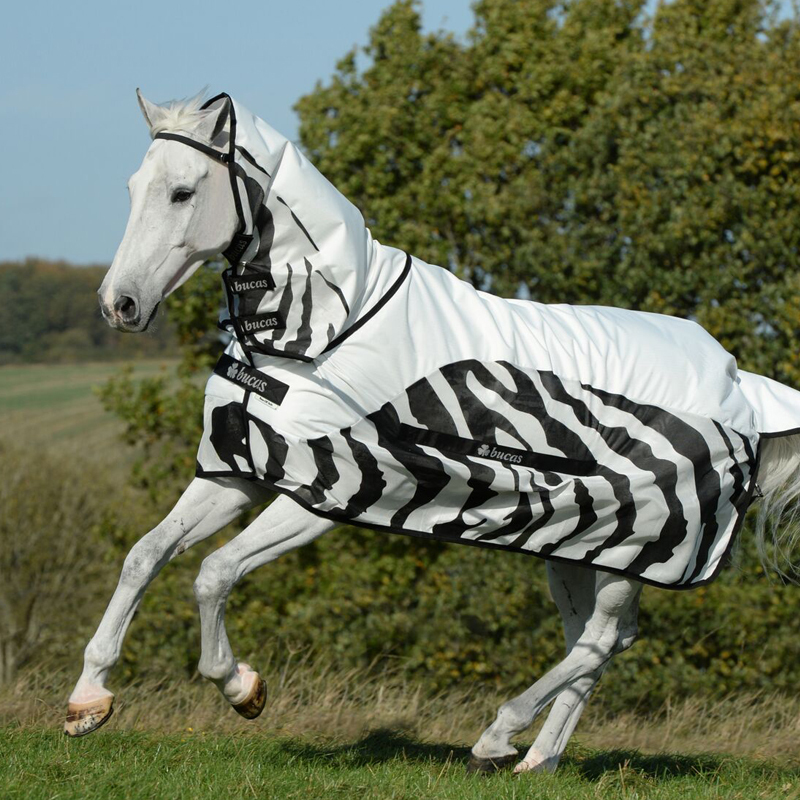 The Buzz off Rain Sheet in Zebra print is a highly technical rug, with an integrated waterproof strip and fly repelling properties. Recent research has demonstrated that zebra stripes confuse flies when they get up close and cause them to abort their landings. This is a highly technical rug, incorporating shower protection and Zebra fly repelling properties, especially for those unpredictable late summer days when your horse is exposed to high temperatures and heavy showers. The waterproof strip has a breathable mesh layer underneath which acts to maintain airflow. The shoulder has darts and a silk feel lining to reduce rubbing. The belly cover protects from biting insects, and is removable. We recommend either measuring with a Bucas rug measure or ordering a size larger than normal in the Bucas range.